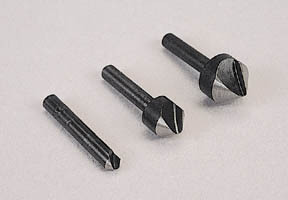 Includes 1/4-inch, 1/2-inch and 5/8-inch diameters to cover the smallest to largest screwheads. German-made for use with portable electric drills or drill presses. All have 1/4-inch shanks.